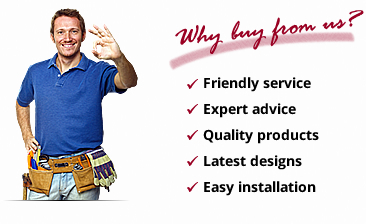 Our team of qualified advisors is always happy to assist you, provide expert advice on your renovation project, and answer any questions you may have. We can also help you find the right product and look for your décor. You can contact us by email or phone, or come and visit us at our showroom. As an industry leader and Canada-wide supplier and retailer with many years of experience, we offer an extensive selection of decorative ceiling and wall products, including glue-up tiles, wall panels, and tiles for suspended ceilings. We are dedicated to providing you the best products and solutions for your residential or commercial renovation project. Our high-quality products have been used in every type of location where design is as important as functionality – residential homes, hotels, restaurants, stores, offices, and even TV shows! We are proud to serve the Canadian market from coast to coast, and to help our clients redesign their favourite space with cost-effective solutions. Our goal is to offer you a turnkey solution by helping you choose the right product according to your specific needs and budget, and depending on the look and feel you wish to create. We can also assist you with any questions related to quantities, format and installation. If you are in the Montreal area, come and visit us at our showroom to discover our many products on display, to talk to our experts, and to find inspiration for your next renovation project. You can also browse our website, and then call us or email us for advice, inquiries, quotation and ordering. To place an order, receive a free sample, or for general inquiries, call us at 888-544-0369, send us an email using the form below, or come visit us in our show room!